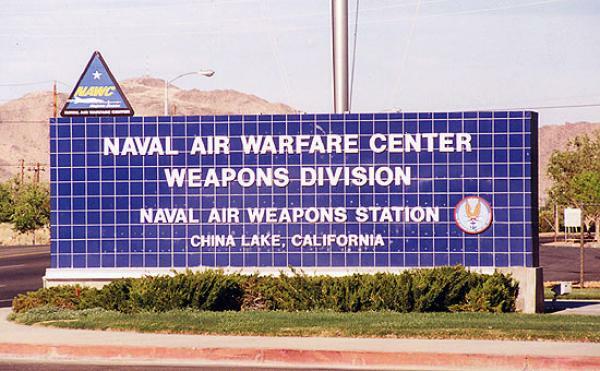 Naval Air Weapons Station China Lake, high desert home of the Naval Air Warfare Center Weapons Division, where the Navy and Marine Corps have developed or tested nearly every significant airborne weapon system in the past five decades. China Lake is located 150 miles northeast of Los Angeles on the western edge of California's Mojave Desert. China Lake is a very military friendly city with a high population of Retired Active Duty and DoD Civilians and has a average cost of living compared to the rest of the state of California. If you are arriving by air, you may fly from Los Angeles International Airport or Ontario International Airport. Shuttle service is available from the airport at a cost. The base operator's phone number is 760-939-9011, or DSN 312-437-9011. The Naval Ordnance Test Station (NOTS) was established on November 8, 1943. In October 1998, NAWS Point Mugu became Naval Air Station Point Mugu, and is no longer a part of the parent Weapons Division organization. More than 2,000 Weapons Division employees, however, continue to perform their same functions as tenants at Point Mugu. On October 1, 2001, the White Sands Detachment was transferred to the Naval Sea Systems Command, leaving China Lake and Point Mugu the only WD sites. NAVAIR WD personnel at China Lake are involved in programs that range from the Tomahawk Cruise Missile to the new Joint Stand-Off Weapons System (JSOW) and from the Joint Direct Attack Munitions to the new F/A-18E/F Super Hornet. For more information please visit the installation homepage. China Lake supports the primary research and development, test and evaluation work for air warfare and missile weapons systems. Missiles such as Sidewinder, Shrike and Walleye are just a few of the many products at China Lake, which have been developed for the fleet. The direction and focus have changed over the years, but the China Lake community remains active, interested and a vital part of the continued success of NAVAIR WD. In this era of Defense Department streamlining and downsizing, the China Lake site remains constant in our goal to be the Navy's premier full-spectrum laboratory for research, development, test and evaluation of weapons and aircraft weapons systems. China Lake continues to be an integral part of the new concept that will improve the ability of the Naval Aviation Systems Team to meet the needs of the Navy and the fleet well into the next century. The Navy remains the Indian Wells Valley's largest employer with 3,141 full-time civilians, 861 military employees, 1,385 on-board contractors, and 923 off-site contractors. On any normal workday, 10,000 people pass through the gates. China Lake is situated next to the town of Ridgecrest, a thriving town with a population of nearly 35,000. China Lake/Ridgecrest is located near three major highways, US Hwy 395 and California State Highways, 14 and 178. No matter whether you fly or drive to get to China Lake, try to arrive during the daylight hours, as the town is very isolated. Transportation from airports can sometimes be arranged by your new command. Please check with them for availability. 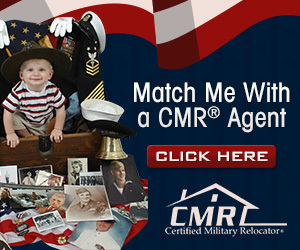 No listings found for China Lake Naval Weapons Station.